Metal Detecting Insurance | Where to get Insurance For Detecting? 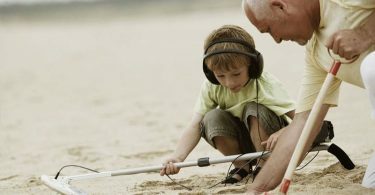 Metal detecting insurance I believe is a must have before you being on your exciting journey into the depths of the detecting world. All kinds of things can go wrong when metal detecting and you need to cover yourself and ensure you are protected. Public Liability insurance is what you’re going to need, however if you try to call up your standard insurance group they probably won’t be able to cover you. Getting public liability insurance is very simple and this will cover you when metal detecting from things like leaving a farmers gate open and his live stock escaping, any accidental damage or even digging through a power cable or gas pipe. There are many more benefits to joining the NCMD other than the public liability insurance and if you take your hobby seriously you will receive newsletters, invitations to social events and rallies, exhibition events and you even get a voice to help change the shape of the metal detecting world. The metal detecting insurance through the NCMD will cover you up to £10,000,000 and not only does this cover you while you are metal detecting in the UK but also on organised events abroad. NCMD public liability insurance for metal detecting is offered by Hiscox Insurance group. Signing up is simple, visit there website fill out a form and make the payment of £8. The FID will accept any responsible detectorist into their organisation and there is no waiting list to join. As a member of FID you will receive monthly newsletters, and FREE public liability insurance to the value of £5,000,000. To join you will need to visit their website at www.fid.org.uk fill out the form and send a fee of £13. You will also need to send a photo of yourself, this will allow them to send you a membership identification card. 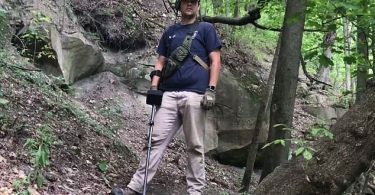 Metal detecting insurance is a must have to anyone who is serious and passionate about their hobby. Not only will it cover you financially against any mishaps but it also looks professional. When trying to gain metal detecting permissions with landowners there is no better peace of mind than showing them you are serious and you are covered by insurance. Who knows it could quite possibly be the difference between a yes or a no answer to gaining land.